I brewed the Pumpkin Ale last weekend. Had some issues with sparging due to the pumpkin, but was able to successfully extract the wort. I pitched some WLP002 I had harvested from my mild back in April. I had a lot of issues trying to determine how much actually yeast I was pitching - 3 pint jars of rinsed yeast from 6 months ago I estimated I had about 30-45 billion viable cells. I pitched this into a 3 quart starter, which was then chilled and decanted to pitch into the pumpkin ale on Saturday night. I utilized this great Yeast Calculator which is helpful when you are pitching with a specific quantity of yeast outside of a vial. I will have a full post on this recipe, the process and tasting notes once it is ready to drink. This week I received the first package addressed to my residence as a Brewery...that makes me official right? 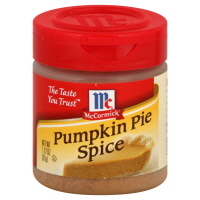 Thanks to my good friend, I was able to source some cheap spice flavoring for the pumpkin beer, which came in the mail. This weekend we will be touring the Flying Dog Brewery in Frederick, MD. I am looking forward to the tour and trying some of their awesome beers. Good thing to have such a food for the morning breakfast. Thanks a lot for those sweets. Interesting taste, pumpkin pie. I don't like pumpkin but I would like to taste this one, may be it is even delicious.